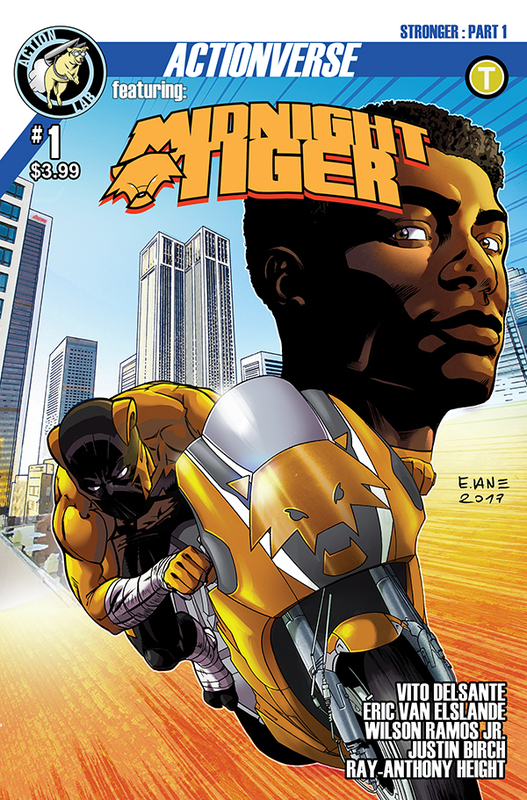 Originally scheduled to be released as ACTIONVERSE #7 FEATURING MIDNIGHT TIGER, this new story arc is being re-solicited as MIDNIGHT TIGER: STRONGER. 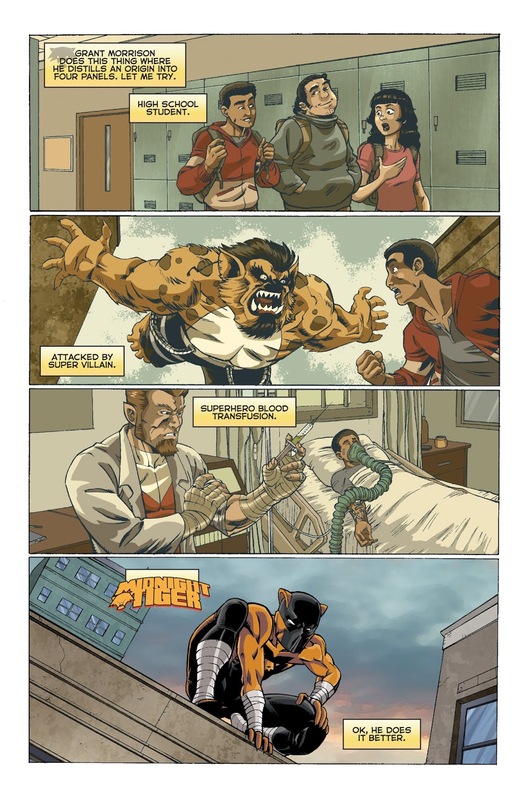 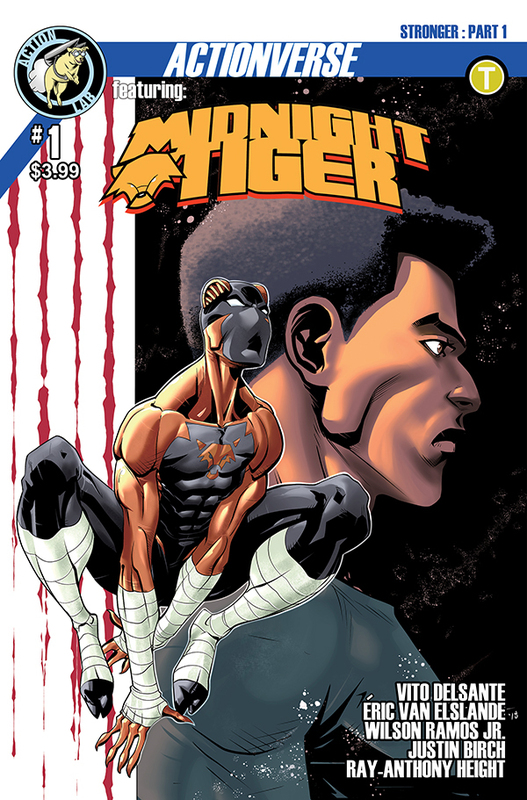 The four-issue story arc will feature the long-awaited return of Midnight Tiger. 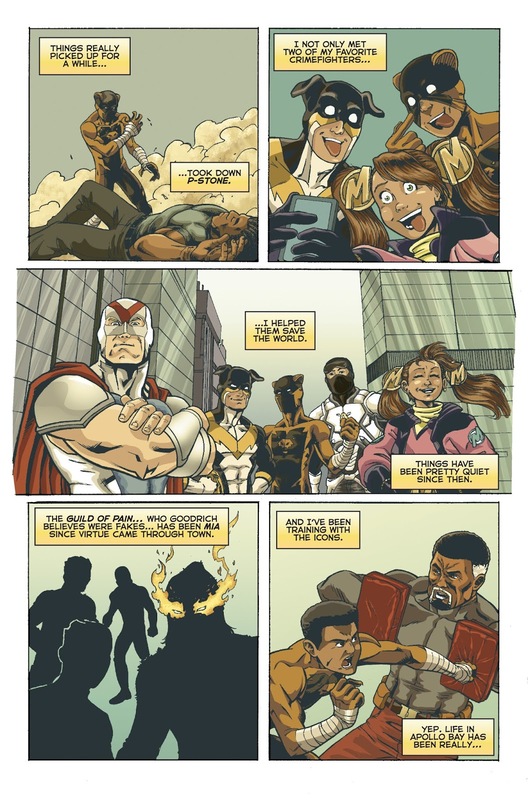 Created by Ray-Anthony Height (X-MEN BLUE/SUPERB), STRONGER will be illustrated by artist Eric Van Elslande with colors by Wilson Ramos and scripts based on Height's plots by Vito Delsante (STRAY). 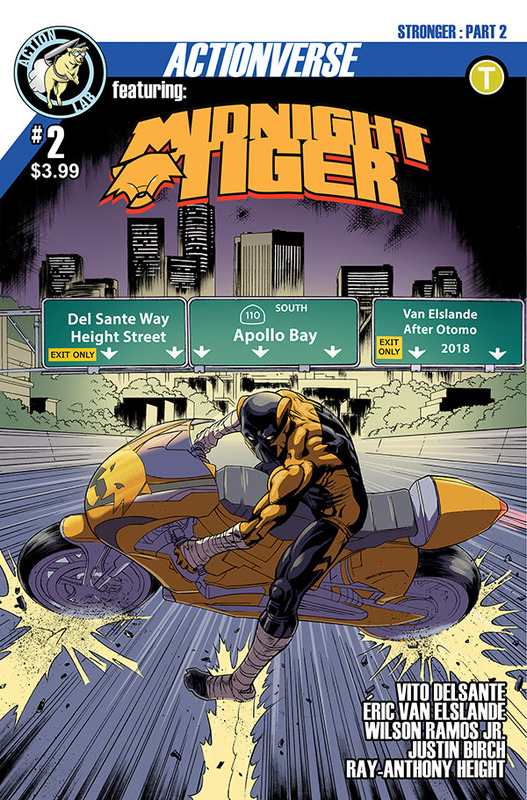 In Midnight Tiger's latest adventure, new villains are invading Apollo Bay and Gavin Shaw (aka Midnight Tiger) must balance his school life with these latest threats. 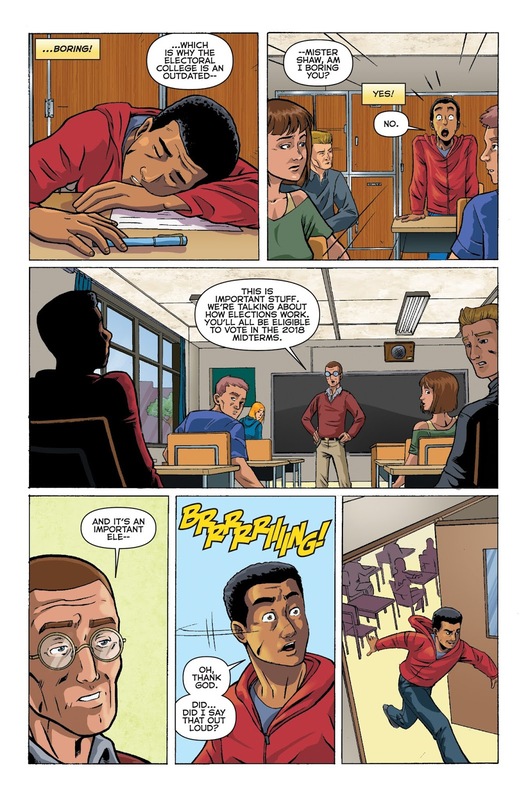 And the legacy of the hero Lionsblood will change Gavin's life forever! 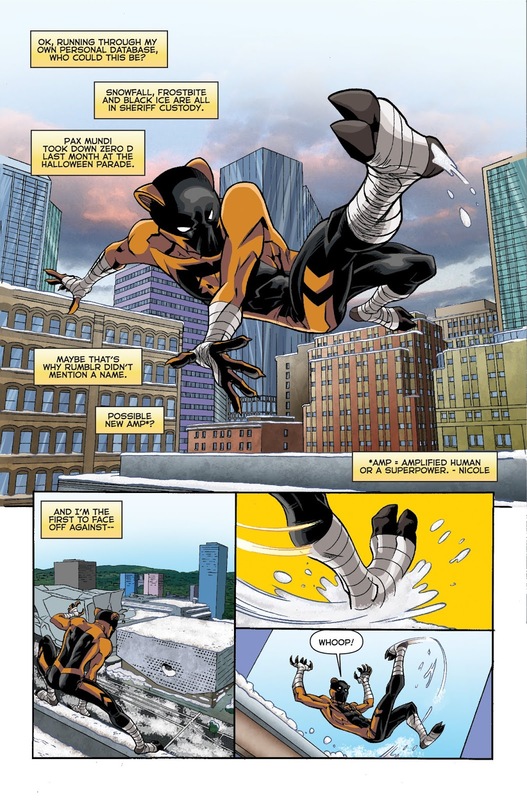 Creator Ray-Anthony Height comments, "This new chapter in Midnight Tiger's Actionverse history will be incredibly exciting! 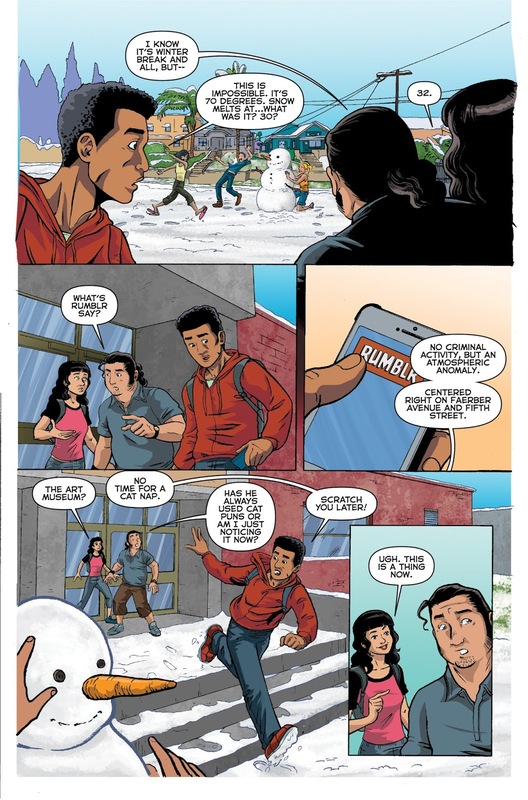 Guaranteed to bring in a whole new crop of readers." 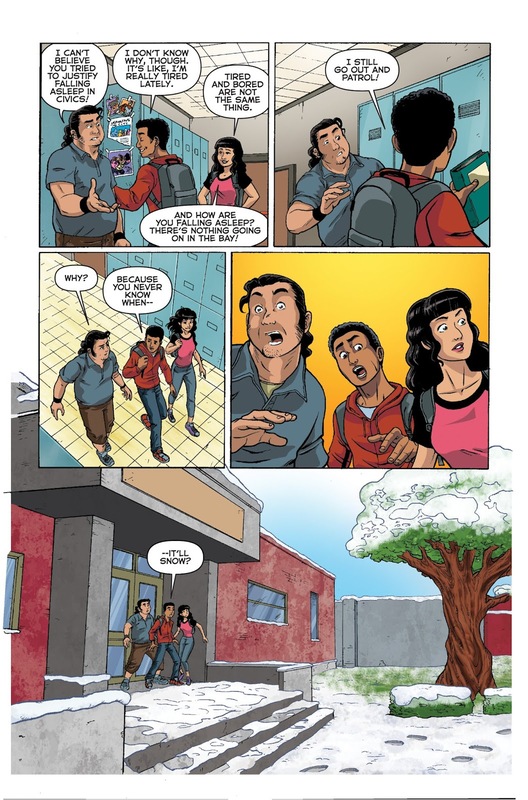 Vito Delsante adds, "Don't let the Teen Rating fool you; this is an all-ages comic with a lot of action and character."